Among my many fandoms is a deep love for Spider-Man, as evidenced by a significant portion of my comiXology purchases. Each Spider-Man movie (including the franchise reboot efforts) have remained to be key opportunities to bring the character to life in a new way and to tell more of his stories and misadventures. 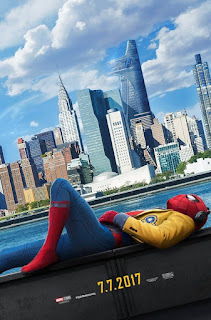 I've liked different aspects of each effort to reboot the franchise as the movies have managed to feature different aspects of Peter Parker's life and the many people he remains inevitably connected to. Spider-Man: Homecoming is the latest effort to breathe new life into the character but is also the first time that Marvel (Studios) has a chance to take a more direct approach to crafting the character and finally securing him back in the Marvel Cinematic Universe. As much as we had already seen Spider-Man as a cameo character in Captain America: Civil War, I think a lot of fans would agree with me that we weren't fully sure of where things would stand until an actual movie was made. So here we are. Synopsis: Spider-Man: Homecoming is the 6th Spider-Man movie released by Sony Pictures and the third reboot of the movie franchise. This time the movie was directed by largely unknown Jon Watts with a screenplay by Watts, Jonathan Goldstein, John Francis Daily, Christopher Ford, Chris McKenna, and Erik Sommers. The movie begins with Adrian Toomes (Michael Keaton) conducting salvage operations after the Battle of New York. However their operation is stopped as the government intervenes and takes over under Tony Stark's new Department of Damage Control, leaving Toomes and his crew without a job. Eight years later, we follow Peter Parker (Tom Holland) a.k.a. Spider-Man from the time he is recruited by Tony Stark (Robert Downey, Jr.) to help in the fight against Captain America (Chris Evans) and his compatriots. Since then Spider-Man has been waiting for his next big mission with the Avengers and ends up preoccupying his time with smaller crimes in his neighborhood in New York. But the call never seems to come - even after he stumbles across a bunch of thieves using advanced weapons technology to break into a bunch of ATMs. Toomes and his crew had kept some of the alien technology behind and have since then been developing weapons to sell on the black market with the authorities none the wiser. What I Liked: It probably can't be said enough that it's great to finally have an age-appropriate Spider-Man who also isn't saddled with a retelling of his origin story and the death of Uncle Ben in his movie. Instead we have a sheer celebration of Holland as an excitable Spider-Man hoping to punch above is weight but not quite there yet. Holland is pretty brilliant as Peter Parker as he tries to navigate his superhero life, school and helping his Aunt May (Marisa Tomei). As a longtime fan of the franchise, I have to give props to the writers for littering the movie with so much fan service but at the same time re-arranging all the elements in such a way that it keeps fans like me off their game. The best example of his is Parker's best friend Ned (Jacob Batalon), who seems to be named after one of the Hobgoblins Ned Leeds but seems to behave almost precisely like Ganke, the best friend of Ultimate Spider-Man Miles Morales. There are a lot of recognizeable names and mentions in this movie that will excite fans one moment then confuse them the next. What Could Have Been Better: The fight scenes in this movie were messier than expected. I'm not even talking about the loss of Spider Sense empowered bullet time sequences but just a general inability to understand some of the bigger fight scenes. Sure there's a lot of CGI work involved in managing some of the sequences but that doesn't mean we need to hide that in shoddy, blurry action sequences where you can't tell who's doing what. Big miss there, especially during the final battle. There were also a lot of weird aspects to Spider-Man's abilities in this movie and again this isn't just about the lack of spider sense. Our hero gets really beat up in this movie given all the times he's dragged along as he crashes into buildings left and right and yet doesn't seem too beat up until towards the end of the movie. His costume hardly even rips, which is a classic Spider-Man trope, so I' not sure where his extra hardiness is coming from. And I do feel a little bad about Peter not having his core sense of responsibility to define his motivations. A lot of the movie is spent trying to instill something to replace that somehow. 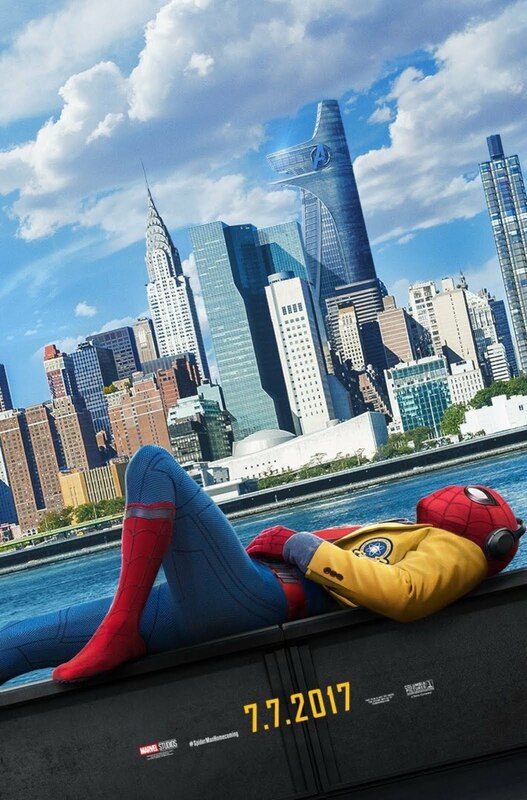 TL;DR: Spider-Man: Homecoming is a great, refreshing reboot of the Spider-Man movie franchise and one that has something for old fans while still being approachable for new fans. It's a well thought-out movie that builds a character without just going through the origin story again and takes things to new heights. And thus the movie gets 4 times Peter Parker nearly gets caught as Spider-Man out of a possible 5.